My personal views on beauty products are very similar to my views in regards to clothing. I do not think it is necessary to spend ridiculous amounts of money to achieve a flawless look. A simple trip to your local drugstore can provide a plethora of affordable options that achieve same look as a department store brand. When it comes to foundation and blush I have a strict department store rule. I use department store foundations because one I have better chance of matching my deep complexion and two it is better for my skin. There have been attempts to use drugstore blush, but I have had trouble finding one that is not too matte and has the right amount of metallic pigmentation to achieve the glow I want. That being said, when it comes to all other products I am willing to make the splurge, but there typically is not a need to do so. 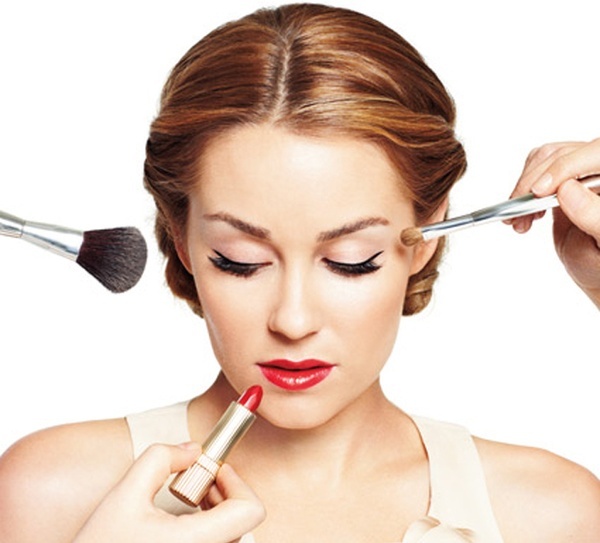 Here are six drugstore products that are must haves and will not be breaking the bank! Stop using whatever you are using and go buy Cetaphil. It is literally the best thing ever to happen to your face. It is gentle, non-drying, and gets rid of nearly every stitch of makeup without the supplemental help of a makeup remover. You need a little help with lipstick and waterproof eye makeup, but with everything else the only thing you will need is this cleanser. There are lot of moisturizers out there, but this is one of the best in the game. It leaves your face feeling soft without a semblance of oily residue. It is perfect for day to day sun protection all year round. You cannot go wrong with this product. This is item is a longtime favorite. It is preferable to a liquid concealer because its stick applicator makes it much easier to spread and blend offering great coverage. You also only use just what you need making the product last significantly longer than its liquid counterparts. Comparable to Lorac’s TANtalizer, this bronzer is the perfect way to to highlight you cheekbones and give your body a glow from head to toe. Having tried both, I can say that there is not a significant difference between the two. If you are on a beauty budget, I would definitely say head to the drugstore and save yourself the $24. The “falsies” collection has been a standing obsession. but Black Drama is just step above the rest. For all brown/black haired girls who love to have their lashes really pop this is the color for you. You get the same false lash effect, but with a super bold black color that is hard to beat. If you are the type of girl who loves the long-wear aspects of a gel manicure and the impeccable shine, this is just the product for you. Boasting to last up to 14 days, this could be the product to put manicurists out of business. The best part? No skin damaging UV lights and no cringe-worthy removal process! Note: Having just tried the product the jury is still out on the long-wear promise, but the consistency, color, and shine are to die for. It looks and feels like a gel, so *fingers crossed* it will have that gel staying power! The grand total of your next drugstore haul is just $63! Compare that to the at least $150 you would spend on similar products in the department store and it should be a complete no brainer! Save where you can and splurge where you need to fashionistas! Where did you find those gorgeous photographs of Lauren Conrad and Scarlett Johansson? They’re stunning! Also, it looks like I’m your 200th follower!